We are living at times when survival of wildlife is being threatened like never before. As per reports, presently, our world is facing its 6th extinction! The Himalayas span across 2500 km and supports 30% of Indian fauna. Eastern Himalayas is a major biodiversity hotspot. There are 50 bird species and 45 animals listed as critically endangered in the Himalayas. You can refer to more details on the WWF website. 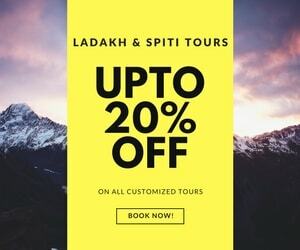 We all love the Himalayas – we have been fascinated by its beauty, enthralled by adventures it throws upon us, excited at the possibility of going back and many times humbled by its natural force. This very community helps people to plan their dream trips to the Himalayas. In the name of development, every year, acres of forest land is being destroyed, the course of rivers altered, roads laid that takes mass number of people to lands previously unexplored. But we need to pause and ponder – for our desire to travel, are we helping or harming wildlife knowingly or unknowingly? We need to understand that the Himalayas not only belong to us humans but also home to numerous species. Creating awareness is the first step in reducing human-animal conflict. This article is split into multiple sections. Based on the time available and interest you can skip to them directly. How do you send a message that wildlife are also part of our environment to a common tourist who could be unaware of exploits that are happening? One solution is to take wildlife to tourists, make them see the Himalayas is a home that is shared by animals and humans alike. In this article, we hope to shed more light on Himalayan Zoological Parks that create awareness regarding wildlife among tourists. 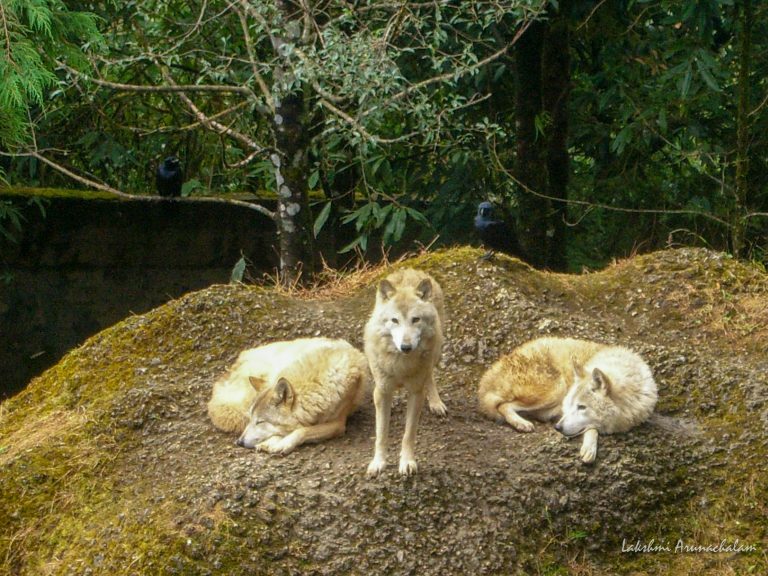 We cover Himalayan Zoological Parks at Gangtok and Darjeeling. 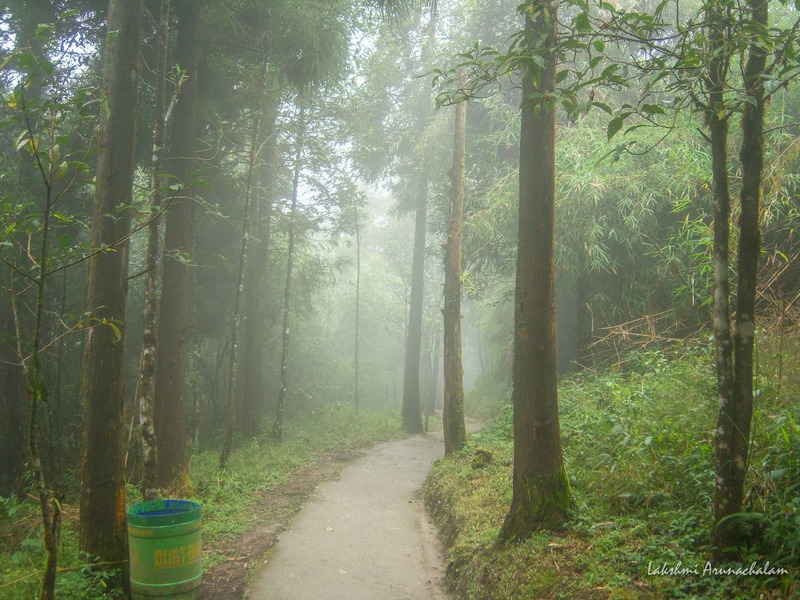 We hope you will visit these parks as part of your trip to North Sikkim or Darjeeling. What to expect in this Zoo? Very close to the city and yet teeming with birds and wildlife – Gangtok’s Himalayan Zoological Park was established at Bulbuley in the year 1991 based on modern zoo ideologies. The need to keep animals in a very natural-like environment (they are not caged unlike the zoos we have been used to) for their physical and psychological well-being. Many endangered animals including Red Panda, Himalayan Bear, Tibetan Wolf, Himalayan Monal, Indian Civet, Snow Leopard, Clouded Leopard, Blue Sheep etc. can be found here. Sighting a Red Panda or a Snow Leopard in the wild is very difficult (requires several days of trekking in harsh terrains). Yet here they are, for a common man to see. Two ornated dragons guard the gates of a precious forest land that is right near the city limits. Under the watchful eyes of the dragons, a steep climb leads you into the zoological park. After buying entry tickets, You can pretty much wander around on your own. There are signboards that lead you to various animal enclosures. The park has varying elevations. A fair amount of walking/climbing up and down is required to see the animals. It may not be very suitable for elders or persons with knee pain. A leisure stroll of one hour or more soaking in nature is just the thing you need to unwind. Moss covered floors, thick forest cover, an occasional bird song that breaks the monotony of your walk, it is the perfect place to unwind if you are a nature lover. Many tour operators don’t bring many people here (since sighting is not a guarantee) so the park is relatively silent. Please keep in mind that due to the semi-natural enclosures, you may not be able to see a particular animal if it is not visible from the pathways. A little ahead the pathway is a watch tower from which you can admire the beauty bestowed upon this land. If you are lucky, the majestic and ever-captivating Kanchenchunga range is visible from the watch tower on a clear day. 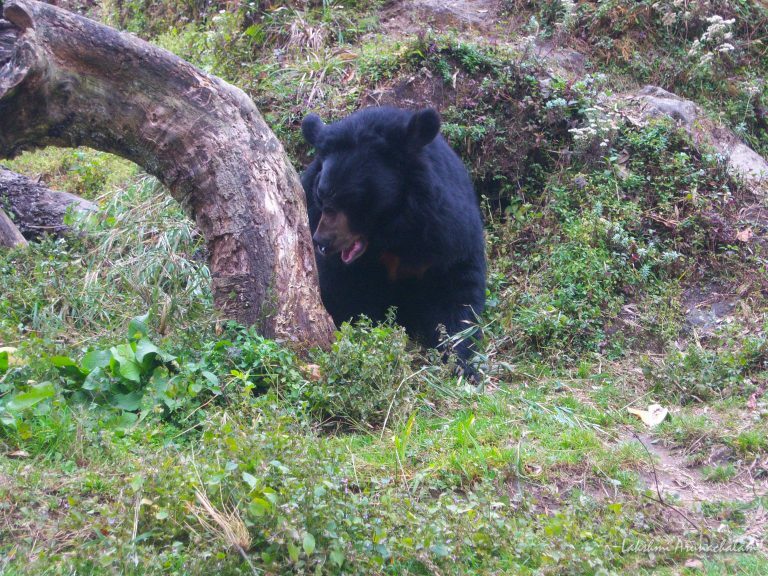 The Zoological Park is very close to Gangtok city and it can be covered as part of your general day tour sighting. The gates of the zoo are opposite to Ganesh Tok which is a famous tourist spot here. 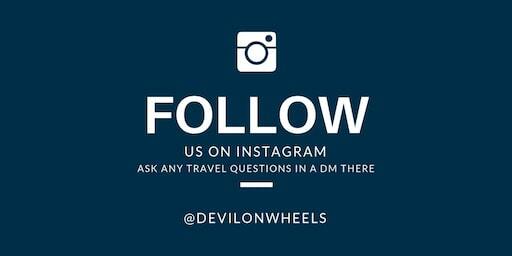 You can refer this weekend trip guide to Gangtok for more details on how to reach and other interesting places around. The park is maintained well by the Government. Vehicles enter the park through the gate with dragons and exit via another. Parking lot has a small area that serves snacks and refreshments. It also acts as a souvenir shop. 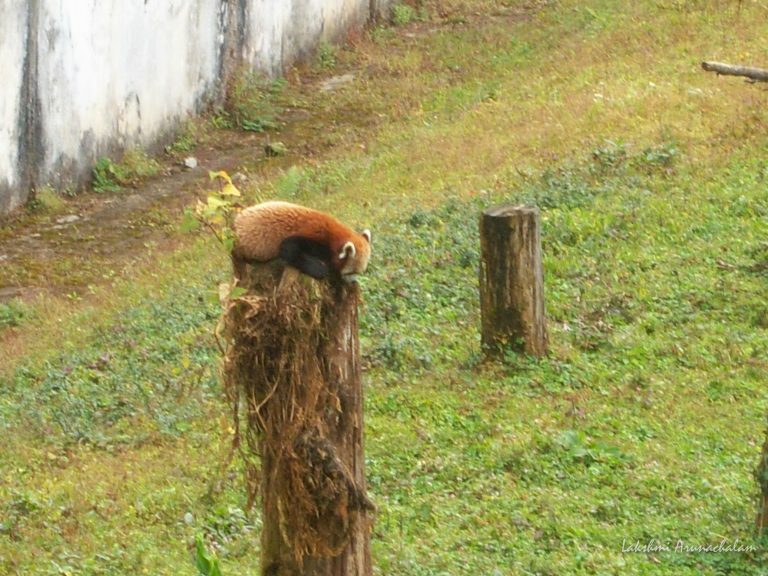 You should not miss the chance to visit this zoo when you are in Gangtok next time. You can check out our comprehensive guide on Gangtok and North Sikkim for planning your trip. Next, let us look at Zoological Complex at Darjeeling. Just 3 hours away in the charming hill station of Darjeeling is our next Himalayan Zoo. 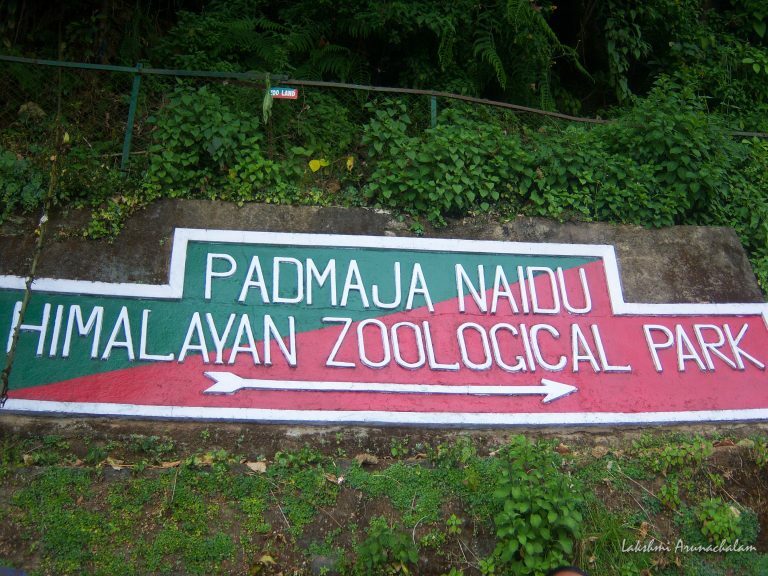 Padmaja Naidu Himalayan Zoological Park is a relatively small zoo when compared to the one in Gangtok. And animals here are kept in cages (this zoo was established in 1958 and modern zoo concepts were not popular back then). Nevertheless, this zoo is home to many endangered animals and birds. It also helps in conservation and education. Its successful captive breeding of endangered red pandas, snow leopards, tibetan wolves are recognised around the world. A short steep walk from the road takes you to the ticket counter. You can follow the natural trails set up inside to see Herbivores (Deers, Himalayan Tahr, Barking Deer), Carnivores (Indian Tiger, Siberian Tiger, Snow Leopard, Clouded Leopard, Tibetan Wolf), Red pandas, Himalayan black bear and Pheasants. 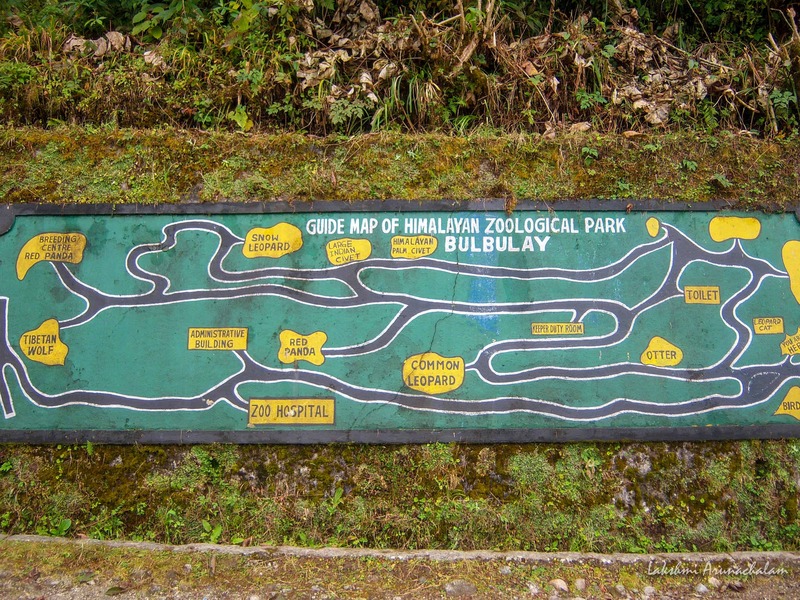 About 2 km from Mall Road in Darjeeling, zoo can be covered as part of Darjeeling day trip. Darjeeling can be reached by a taxi drive (shared or private) of 3 hours from New Jalpaiguri (NJP) junction or take the UNESCO heritage toy train to Darjeeling. Padmaja Naidu Zoological Park is open on all days (Except Thursdays). Visiting hours are from 8:30 am to 4 pm. Entry fee is 60 INR for Indians, 100 INR for foreigners. It is free for children below 6 years of age. Camera charges are 10 INR. With the same ticket you can visit Zoo, Bengal Natural History Museum and Himalayan Mountaineering Insitute. The zoo is at an altitude of 2150 m covering 65 hectares of land. Best Season – Mar to June. Late September to January. The Zoo has an adoption plan for each animal ranging from quarterly adoption to yearly adoptions. You can also be part of the conservation programme by adopting an animal’s expense and get a tax exemption too. Please check the link here for more details. There are shops selling snacks, drinks and souvenirs at the entrance of the zoo. Support the local economy by buying souvenirs from there. This museum was recently shifted inside the Zoo campus. BNHS displays a wide variety of specimens of bird species, their nests and eggs, reptiles and other mammals. It provides information on Himalayan species some of which are very interesting. The zoo complex also houses the famous Himalayan Mountaineering Institute (HMI) and its museum. The museum is a fascinating place for everyone including trekkers. It provides lot of information on how trekkers scaled Mt. Everest, equipments needed for high altitude treks among various other details. There is also a replica of Mt. Everest showing the route along its base camps, summit equipments (gloves, oxygen cylinders, ax etc.) used by Edmund Hillary and Tenzing Norgay during their Everest expedition, photos of various summits. The whole experience will bring pride that an Indian had achieved such a daunting feat in the year 1953. 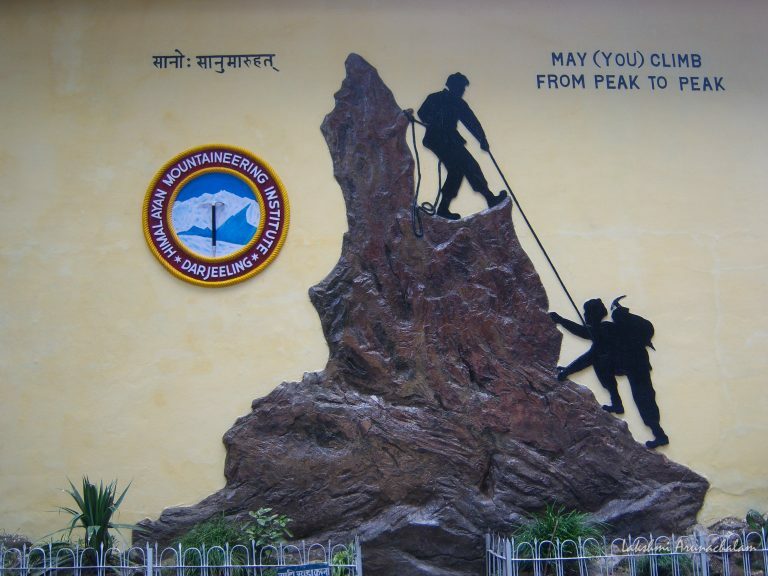 It also inspires us towards mountaineering/trekking. HMI also conducts mountaineering lessons and goes on expeditions. A national park close to another popular tourist spot Nainital, Jim Corbett is a National Park. Though not a Himalayan Zoo, I mention it here because this national park is an excellent example of wildlife conservation. Jim Corbett was a hunter-turned-conservationist who played a key role in establishing this park. It gives me hope and maybe inspire people to take up more social responsibilities – like planting trees, avoiding to litter etc. Corbett requires another article to give full details. 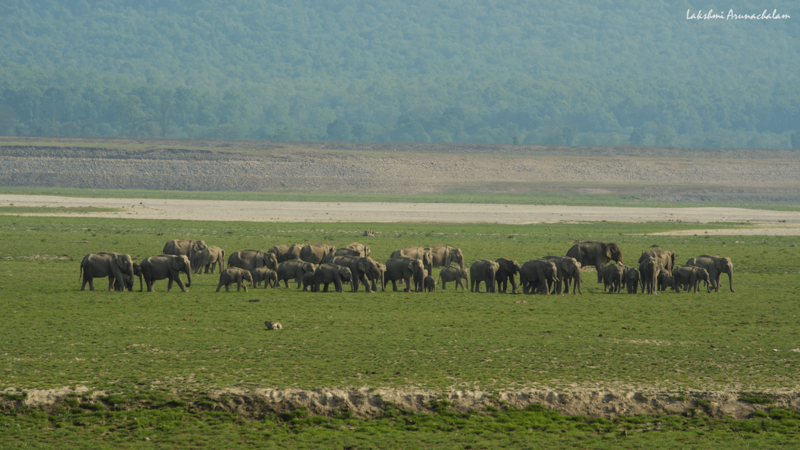 Stayed tuned to our website for the article on Corbett National Park. Ecotourism helps in education, creating awareness and more importantly conservation. Such zoos are open to public in the hope that it will bring affection towards animals and we might take few steps in conserving wildlife. Mountains look raw, rugged, powerful and they are very much so. But factor in human interventions like climate change, pollution, littering, poaching, illegal wildlife trade, forest fires natural or otherwise – even the Mountain Gods can’t help us in this downward spiral. Maybe next time when you travel to Himalayas, carry your own watter bottle, cutlery and refuse single-use plastics. Try to bring back your trash to dispose it off safely or recyle. We have vanishing species amidst us and we don’t have much time left to act on it.